In a major milestone for the company, SpaceX successfully launched their Falcon Heavy rocket today. The Falcon Heavy was first proposed in 2011 just after the first flights of Falcon 9 had been completed, however, it has taken seven years for the rocket to go from the drawing board to flight. During that time SpaceX has made a number of significant improvements to the Falcon 9 that have made some of the flights that were originally planned for Heavy possible on Falcon 9. The final iteration Block 5 is due to start flying later this year which could improve performance even more, however, at present we don’t have details to specify by how much. Now that Falcon Heavy is operation SpaceX has the most powerful currently active rocket in the world with 5.1 million pounds of thrust. This version flew with the older Block 3 setup, future variants could be even more powerful. Due to the design of the Falcon Heavy and SpaceX’s ability to land their core stages we had the privilege of watching two landings today. The two side booster separated from the rocket at 2:33 minutes into the flight and returned to the Landing Zones at Cape Canaveral Air Force Station. The center core continued to power the flight until 3:09 minutes before separating from the upper stage and attempting a landing on the Autonomous Spaceport Drone Ship “Of Course I Still Love You”. At present we don’t have a status on the center core, we will update the article once we hear more news from SpaceX. UPDATE – It is looking increasingly likely that the center core didn’t survive the landing, we will post an official statement from SpaceX once we have it. In another first for SpaceX, the upper stage will coast for six hours before performing a third burn which will send the payload on a hyperbolic orbit towards Mars. To enable SpaceX to win contracts for launches directly to Geostationary Orbits, they need to demonstrate the ability to restart the stage once it has traveled through the Van Allen Belts that surround the planet. For this launch Elon Musk has placed his Ruby Red Roadster on top of the upper stage, aboard the car is a dummy wearing a SpaceX spacesuit. Elon confirmed that the 2nd burn of the upper stage was successful, we will find out in approximately 5 hours if the 3rd was too. This was the 49th launch since Falcon 9 started flying and 25th landing. ** The GovSat1 launch didn't land on the ASDS, however, the core did survive and we are counting that as a successful landing. In a stunning announcement yesterday SpaceX explained that two people had paid significant deposits for a Dragon 2 mission around the moon currently scheduled to launch in 2018. Using a free return trajectory around the moon the mission will launch from KSC LC-39A atop a Falcon Heavy and then fly around the moon taking the crew further from Earth than any humans have ever been before. The two crew members will spend seven days in space before returning to Earth either landing back in the ocean or potentially using a propulsive landing back on land. Elon Musk made the announcement during a telecon that was announced on Sunday, he explained that SpaceX plans to launch the first uncrewed Dragon 2 later this year on a test mission to the International Space Station. This new mission will not launch until SpaceX has completed the certification of Dragon 2 for NASA. If SpaceX is able to achieve this schedule then they will do something that hasn’t been done since the last Apollo mission to the moon. This will also leapfrog them over NASA which is currently looking into adding a crew to the EM-1 mission due to launch sometime in 2018, however it is likely to be delayed especially if they need to make changes to accommodate crew, otherwise the first crewed mission isn’t scheduled until No Earlier Than (NET) 2021. 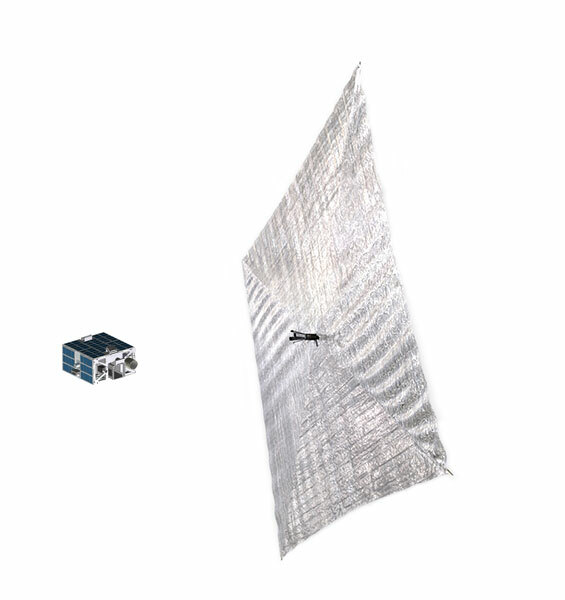 The first privately built Solar Sail spacecraft LightSail is now in orbit. Built by the Planetary Society the spacecraft was launched as a secondary payload on the Atlas V that launched earlier today. The successful deployment of the CubeSat was confirmed by the Societies Jason Davies via Twitter. Official #LightSail deployment time: 17:05:40.620, hh:mm:ss.sss (UTC). We were the last P-POD. Thanks for the ride, @ulalaunch Centaur! They are already working on the second test spacecraft will is scheduled to deploy from a SpaceX Falcon Heavy in 2016, a Kickstarter is currently running to fund the second mission and is already 300% funded with at least 36 days left. Below is an artist concept of the fully deployed Sail planned to fly in 2016. Welcome to my new weekly blog on all things Space, this week we take a look at the latest Soyuz launch to the International Space Station, the ARKYD Kickstarter project and Astronaut Abby a 15 year old with an amazing vision for STEM and Space. On Tuesday this week Karen Nyberg, Fyodor Yurchikhin, Luca Parmitano launched about there Soyuz TMA-09M spacecraft from Kazakhstan on an accelerated six hour journey to the space station. This is the second time a Soyuz has used the express rendezvous to the station which cuts down the time spent in the Soyuz from two days. They join current station crew members Chris Cassidy, Alexander Misurkin, and Pavel Vinogradov to complete the Expedition 36 crew. The crew have a very busy increment coming up with a number of visiting vehicles and five space walks as well as the hundreds of science experiments that are performed each day. 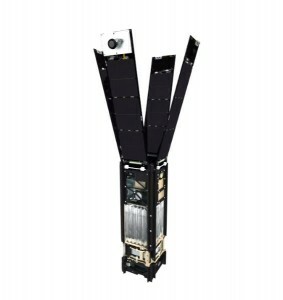 On Wednesday this week Planetary Resources announced the launch of there ARKYD: A Space Telescope for Everyone Kickstarter project. The goal of the project is to raise $1,000,000 to provide a Space Telescope for citizen science, as of writing they had already raised $600,000+ with 6000+ backers. There are multiple sponsorship levels available from $25 for a photo from the spacecraft or yourself with the Earth in the background to $10,000 for a very neat package (check out the page). I have signed on to this project at the $65 level and would encourage anyone who has dreamed of being involved in space to get involved. And finally this week we meet Astronaut Abby who has just completed an amazing trip to Russia and Kazakhstan to watch the Soyuz launch. She recently raised $35,000 through the RocketHub CrowdFunding site to “Inspire Future Generations”, she will be using the money raised to provide classroom visits and share her vision to be the first Astronaut on Mars. In addition she has been selected to be Astronaut Luca Parmitano’s Earth Liason while he is on the space station. Abby will be communicating regularly with Luca and will be posting updates about his adventure. When asked Luca said that he selected Abby for her passion for space and reaching her dream and that one day he would be training her to be an Astronaut. This week I wanted to vent my frustration about the SLS/Orion project at NASA, here we have a new rocket system that current estimates say will cost in excess of $41B for four launches by 2025 for the 70 metric tonne version, the 130 metric tonne version isn’t expected to be ready until 2030. Next year SpaceX is expected to launch the Falcon Heavy which will cost significantly less money and will be capable of launching 53 metric tonnes, it seems very likely that by 2025 SpaceX could have greater launch capacity then SLS will have. In addition the Orion Space capsule which has already had structure problems during pressure testing only has a four person crew capacity which while being one more than Soyuz and other current space capsules is three less than the planned Dragon Crew Capsule, the Dreamchaser vehicle or the Boeing CST-100. The first planned uncrewed launch for the capsule will be next year and the first crewed mission isn’t expected until 2021. Again by this time one or more of the capsules mentioned above will have already launched multiple crews to the ISS and I know SpaceX have plans to go beyond LEO with Dragon. It seems at this point it would be more logically to invest some of the $41B in SpaceX, Sierra Nevada and Boeing to improve their vehicles and the rest of the money in Planetary Science to go explore the Europa or Titan.